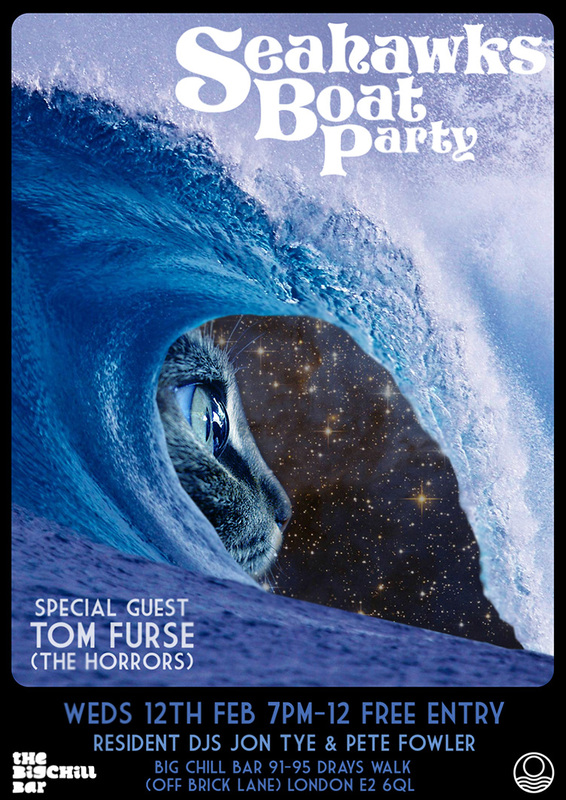 We’re back at the Big Chill Bar for our first Seahawks night of 2014 and happy to launch the year with our special guest DJ Tom Furse from the Horrors. You can listen to Tom’s sounds and mixes here. This entry was posted in Big Chill Bar, COSMIC, DJ gigs, Dudes, gigs, Mixes, smooth bastards. Bookmark the permalink.